The curious minds of young children naturally want to know how everything began. Genesis gives us the answer to this question. It tells us about the beginning of everything. 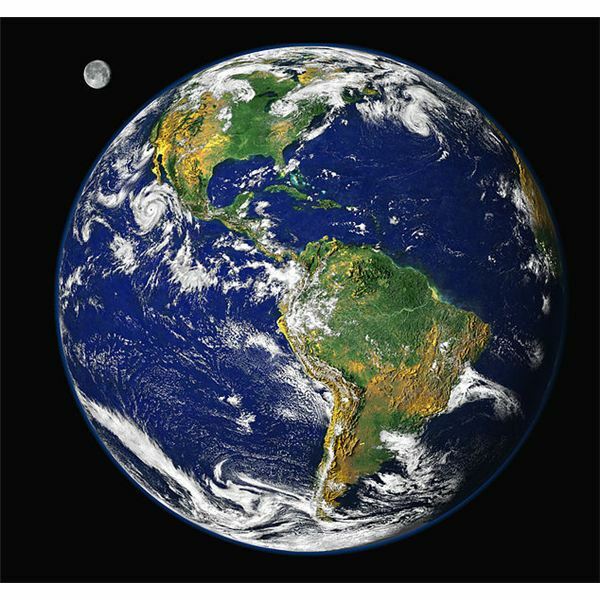 In six days, God created day and night, the sky, land, water, plants, the sun, the moon, the stars, birds, fish, animals and humans. From Genesis, children learn the power of God. They learn that God is the creator of all. Another important lesson that the story of creation in Genesis gives us, is the importance of rest. On the seventh day, God rested. Using God's day of rest as an example, we learn that it is important to make time for rest. During rest, our bodies recuperate after hard work and our minds are given time to focus and reflect. To make your preschool Bible lesson plans about creation fun for children, utilize lighting and sound effects as you tell the story of the beginning. Start with the lights off in the room. As you tell the story of the first day, turn the lights on in the room when you get to the part where God says "Let there be light". Hand out flashlights to the children. Ask the children to turn on their flashlights when you get to day four in the story telling when God created the stars. Play a recording of ocean sounds when God separates the land from the water. Make animal sounds when God creates the animals. After the story, give the children play dough so they can create their own world with models of stars, the sun, the moon, plants, animals and humans. This is also a great opportunity to teach about the seven days of the week. An Adam and Eve lesson plan is perfect to teach preschoolers after they have already learned about how God created the world. The story of Adam and Eve teaches children that there are consequences to our actions. 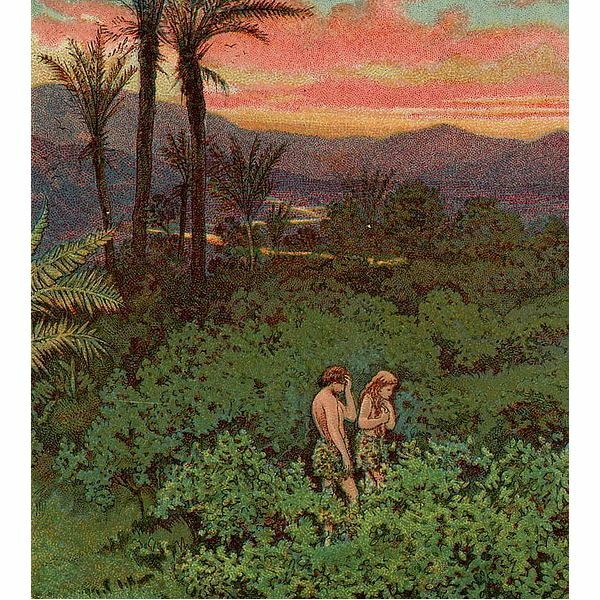 Adam and Eve lived in the Garden of Eden, which was a perfect place. There was no pain, no danger and no death. They did not have to work for anything; everything they needed was in the Garden of Eden. There was no bad in the Garden of Eden because there was no sin. Adam and Eve did not know about sinful things. God gave Adam and Eve only one rule in Genesis 2:17. He told them not to eat from the Tree of Knowledge. They could, however, eat from the many other fruit trees in the garden. God did not want them to eat from the Tree of Knowledge because it would teach Adam and Eve about sinful things and they would no longer be innocent. One day the serpent, which was the devil in disguise, came to Eve and convinced her to eat from the Tree of Knowledge by telling her it would give her such knowledge that she would be like God. Eve ate from the tree and convinced Adam to do the same. Adam and Eve's disobedience to God in eating from the tree brought sin to the world. They were no longer pure and innocent, but now had sinful minds. As a punishment for their disobedience, they were banished from the Garden of Eden and put into a world where they had to work, experience sickness and eventually physical death. Adam and Eve's sin affected the future of the world and people. Their now impure minds would teach sinful knowledge to their children and their children's children. Each generation continues to gain sinful knowledge from the generations before them. After reading the story of Adam and Eve to preschoolers, ask them how they think life in the Garden of Eden was different from the world we live in now. Open up a discussion about choices and consequences by asking the children what choices they have and the repercussions for things that they themselves do wrong. A great follow-up to this Adam and Eve lesson is to teach the children about how God forgives us for our sins through the story of Easter. We all sin. Living in a sinful world and possessing the knowledge of sin, makes it hard for us to always be sin-free. We should strive to live holy lives, according to God's commandments. When we fail by sinning, we should seek forgiveness from God. Gracefully, God has given us a way to be forgiven through His son Jesus Christ. Believing in and giving yourself to Jesus is the basis of Christianity. Jesus, the Son of God, lived a sin-free life. He taught us how to be forgiven for our sins and how to enter Heaven. He took our sins upon Himself and paid the price for them by dying on the cross. 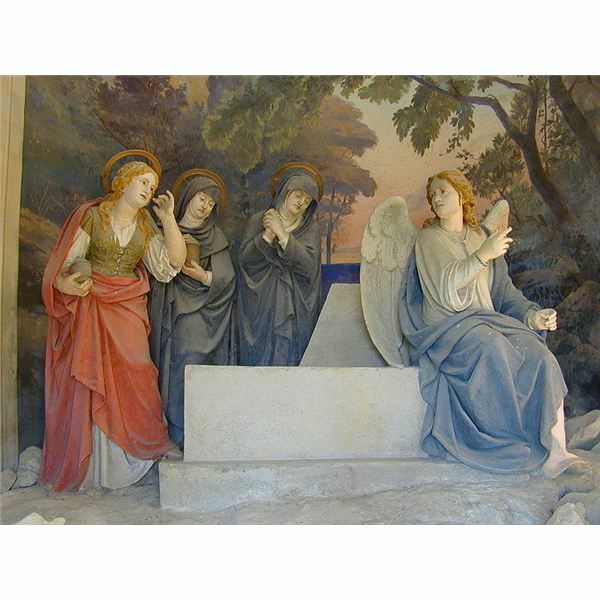 To show that death had no power or hold over Him, Jesus resurrected three days later. Because of Jesus' sacrifice for us, we join God in Heaven after our worldly death and live for eternity. Easter celebrates the day Jesus was resurrected. Preschool Christian Bible lesson plans on Easter teach preschoolers about Jesus' journey into Jerusalem, His crucifixion and resurrection. A fun Easter lesson plan can be done with 12 plastic Easter eggs. In this lesson plan, you will fill each Easter egg with an object that symbolizes the sacrifice of Jesus. Number each egg from 1 through 12 and open them in order, while you tell the children about the story of Jesus. The Bible tells of many miracles that Jesus performed. A lesson about Jesus walking on water teaches children about one of the many miracles Jesus performed. The story of Jesus walking on water teaches us about the importance of faith. Matthew 14:25-32 tells the story of Jesus walking on the water to meet His disciples who were out on a ship. When the disciples saw Jesus walking on the water, they became afraid because they thought He was a ghost. Jesus announced "Be of good cheer; it is I; be not afraid." Jesus' disciple, Peter, said to Jesus, "If it be thou, bid me come unto thee on the water." Jesus bid Peter to come. 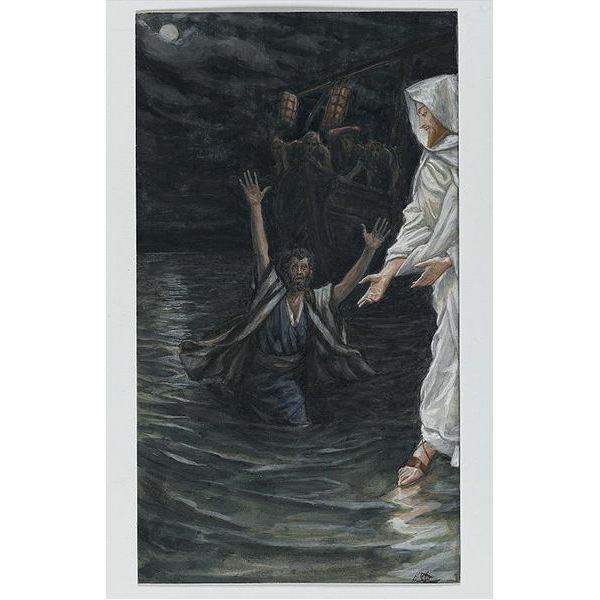 Peter got out of the ship and began to walk on the water to meet Jesus, but when the wind started to blow, Peter became afraid and started to sink. Peter called out to Jesus for help. Jesus reached out, saved Peter and said, "O thou of little faith, wherefore didst thou doubt?" Jesus then brought Peter back to the ship. Peter was able to walk on water because he had faith in Jesus, but when he lost his faith he began to sink. This story teaches us a valuable lesson about the power of faith. Matthew 17:20 is another verse that teaches us the power of faith. It says, "If ye have faith as a grain of mustard seed, ye shall say unto this mountain, Remove hence yonder place; and it shall remove; and nothing shall be impossible to you." After you tell the story of Jesus walking on water to your preschoolers, ask them how they would have felt walking out on the water to meet Jesus. Would they be afraid? Would they have faith that Jesus would save them from sinking? Follow up the discussion with having the children draw a picture of Peter meeting Jesus out on the water. For a gross motor activity, in small groups have the students walk on a balance beam. Discuss how they felt when they were a bit unsteady. As Christians we should strive to be like Christ. We should listen to Jesus' teachings and follow His examples on how to live good lives that are pleasing to God. When we have Jesus in our heart, we should behave a certain way. Galatians 5:22 teaches about the fruit of the spirit. The fruit of the spirit symbolizes the traits we should have as Christians. Galatians 5:22 lists the fruit of the spirit as love, peace, joy, patience, kindness, faithfulness, gentleness, goodness, and self control. For a fruit of the spirit preschool Bible lesson plan, discuss each fruit of the spirit (trait) that we should have and describe what each one means. 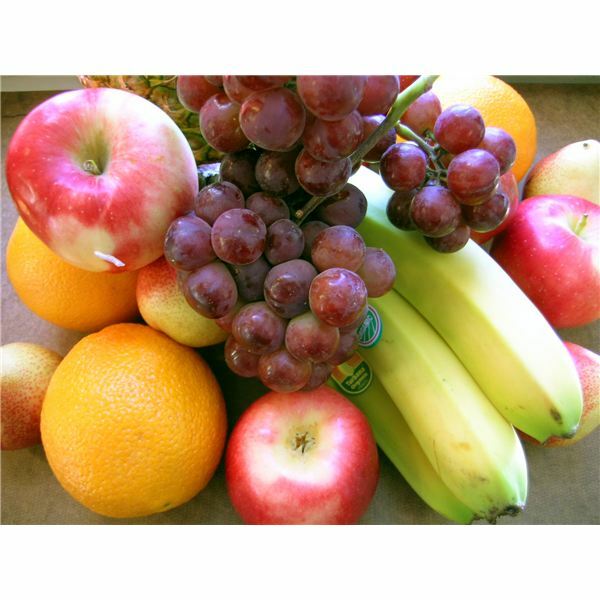 Ask the children ways that they can show each fruit in their daily lives.